Edelen Doors & Windows is an employee owned and operated business located in Portland, OR. 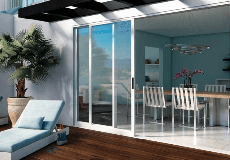 Edelen offers a complete line of windows, exterior and interior doors, in addition to garage doors. Our core team of veteran installers provides complete installations and repairs on all doors, windows, and garage doors. Edelen staffs the top certified craftsmen in the area, making every project one of a kind. As an employee owned business, we aim to treat our clients like family. Apart from our dedication to exceptional customer service, Edelen offers free on-site consultations. Edelen consultations include complete project analysis, in depth measurements, and unrivaled estimates.